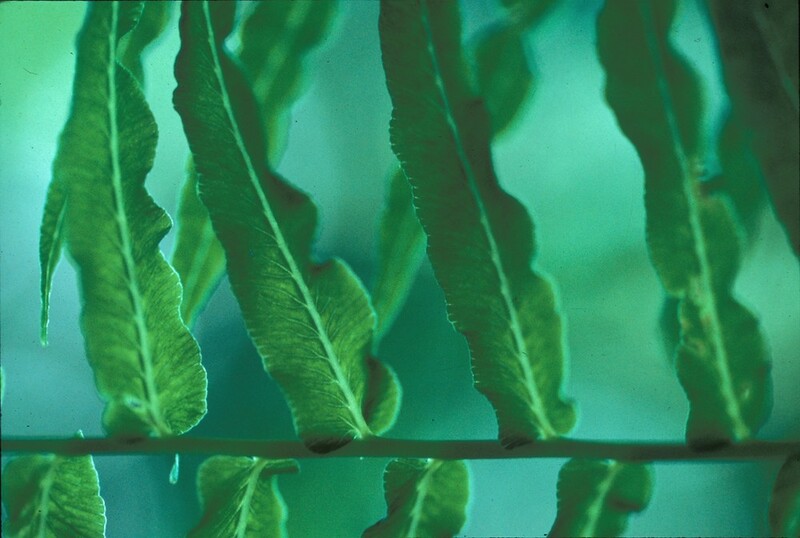 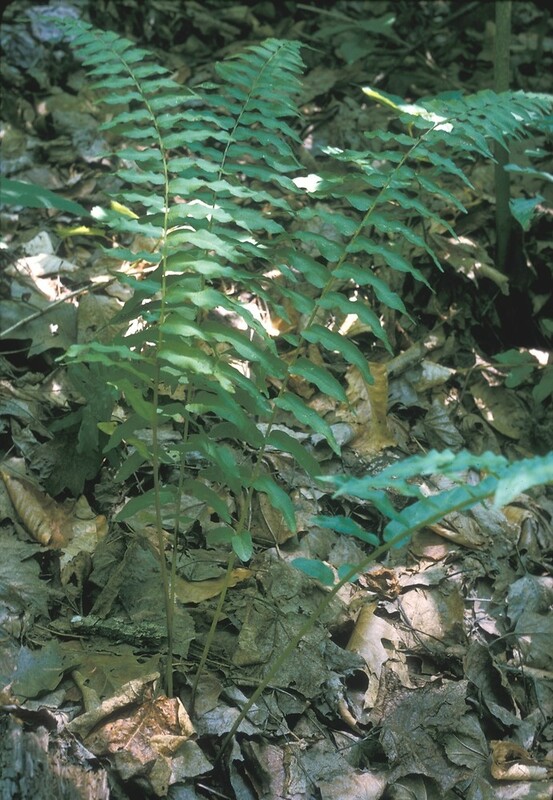 Narrow-leaved glade fern can be identified by its tall, narrow, bright green fronds, usually in clusters of 5-6 per rhizome. 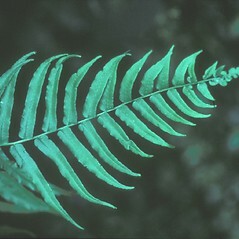 Its sori (clusters of spore-producing capsules) are distinctive: long and distributed in a herringbone pattern on the undersides of the fertile pinnae (leaflets). 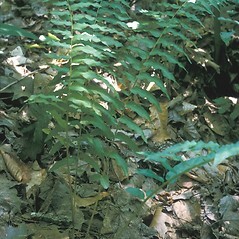 narrow-leaved glade fern. 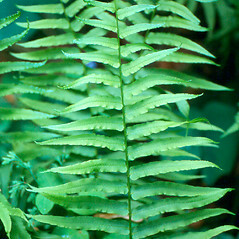 Asplenium pycnocarpon Spreng. 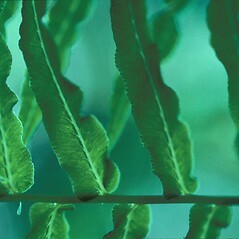 ; Athyrium pycnocarpon (Spreng.) 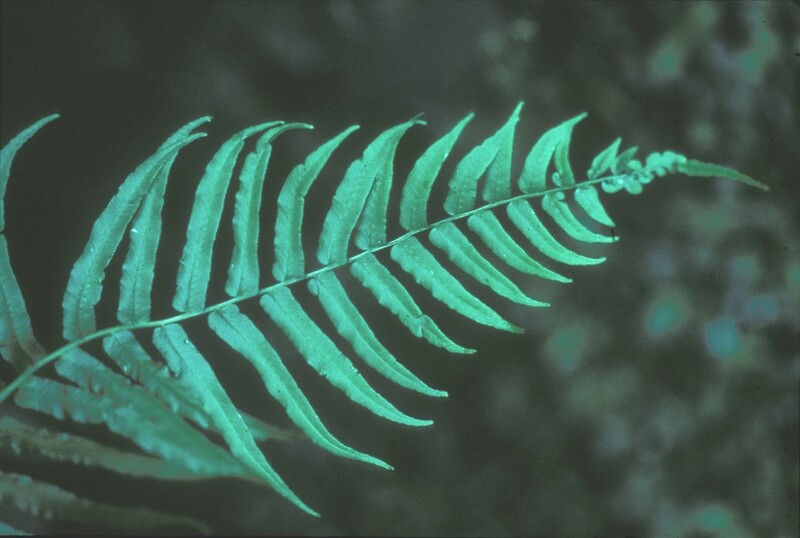 Tidestrom • CT, MA, NH, VT; also reported from RI by Kato (1993c), but specimens are unknown. 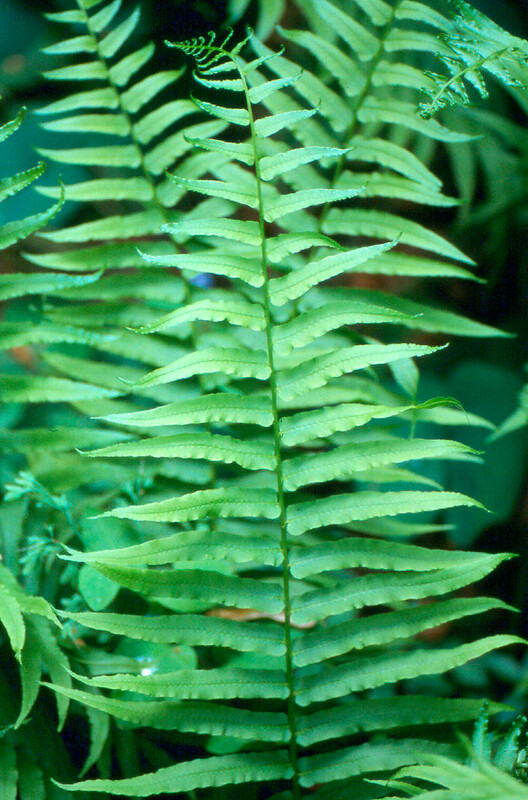 Rich, mesic forests.